Alanna Heiss, artist Nancy Hwang and curator Sandra Skurvida will speak about the changing and alternative functions of art spaces. Heiss will share her trailblazing experience of the alternative space movement in New York since the 1970s. The talk is hosted in conjunction with the exhibition AVANT-GUIDE TO NYC: Discovering Absence on view at apexart through December 19, 2009. 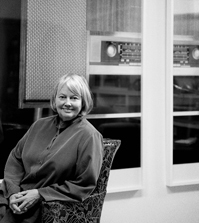 Alanna Heiss, Director of Art International Radio, was Founder and Director of P.S.1 Contemporary Art Center from 1976-2008. She is one of the originators of the alternative space movement, beginning with Under the Brooklyn Bridge, a 1971 outdoor show she organized with installations by pioneering American and European artists. Ms. Heiss has curated and/or organized over 700 exhibitions at P.S.1 and elsewhere, including the inaugural exhibition at P.S.1, Rooms (1976); New York, New Wave (1981); Stalin's Choice: Soviet Socialist Realism, 1932-1956 (1993); Greater New York (2000 and 2005, selecting curator), and Arctic Hysteria (2008); as well as solo shows including Robert Grosvenor (1976); Keith Sonnier (1983); Alex Katz: Under the Stars, American Landscapes 1951-1995 (1998); John Wesley: Paintings 1961-2000 (2000), and Gino De Dominicis (2008). In 2004, Ms. Heiss founded Art Radio WPS1.org, the Internet radio station of P.S.1. Born in Louisville, Kentucky, in 1943, Ms. Heiss received a BA from Lawrence University and a scholarship from the Lawrence Conservatory of Music. In 2001, Ms. Heiss received an Honorary Doctorate in Fine Arts from the San Francisco Art Institute, and in 2008, she received an Honorary Doctorate in Humane Letters from Lawrence University in Appleton, Wisconsin. Nancy Hwang holds an MFA in Sculpture from Cranbrook Academy of Art and a BA from the University of Maryland. She has received grants from the Seoul Foundation for Arts and Culture (2005), Agnes Gund and Daniel Shapiro (2002), Artists Space Independent Project Grants (2002), and the Rema Hort Mann Foundation (2001), among others. Her solo projects include This is not a couch., Kemper Museum of Contemporary Art, Kansas City, Missouri (2008); Host, Project Space Sarubia, Seoul, Korea (2005); Platform, White Columns, New York (2004); and S, Storefront for Art & Architecture and New York City Parks & Recreation (2002). She has participated in numerous group exhibitions including Something from Nothing, Contemporary Art Center, New Orleans, Louisiana (2008); ev+a, Limerick, Ireland (2005); Make It Now: New Sculpture in New York, SculptureCenter (2005); Grapefruit: Yoko Ono in 1964, Ise Cultural Foundation, New York (2004); and Get that Balance, Kampnagel, Hamburg, Germany (2001). She lives in New York City. Learn more about Hwang's oral history project. Sandra Skurvida is an independent curator and scholar based in New York. Her curatorial projects to date have been catalyzed by social and political issues: Custom Car Commandos (Art in General, 2009) dealt with the crisis in the auto industry; Soap Box Event by Pia Lindman (Federal Hall National Memorial, 2008) — with the civil liberties of free speech; several public art projects in New York City (Art Container, 2002; Waste Management by Alex Villar, 2005) addressed various aspects of public space; and the Third Annual Exhibition of Soros Center for Contemporary Art in Vilnius, Lithuania (1995) — post-Cold War conditions and the emergence of global networks. Skurvida is researching and writing on John Cage's interdisciplinary influences. She teaches at the Center for Curatorial Studies, Bard College. apexart's exhibitions and public programs are supported in part by the Andy Warhol Foundation for the Visual Arts, Carnegie Corporation of New York, Edith C. Blum Foundation, Mary Duke Biddle Foundation, The Greenwich Collection Ltd., The William Talbott Hillman Foundation, and with public funds from the New York City Department of Cultural Affairs and the New York State Council on the Arts. Directions: A, C, E, N, R, W, Q, J, M, Z, 6 to Canal or 1 to Franklin.